The receptionist was so kind, helpful, and truly a joy to interact with. Usually that’s not the case. It was apleasure overall mainly because of her. The receptionist was so kind, helpful, and truly a joy to interact with. Usually that’s not the case. It was a pleasure overall mainly because of her. I would totally recommend! Dr. Abroon was very patient, understanding, and nice. He was thorough and made me comfortablethe whole time! His office is clean and the staff are very sweet! I would totally recommend! Dr. Abroon was very patient, understanding, and nice. He was thorough and made me comfortable the whole time! His office is clean and the staff are verysweet! Dr. Abroon is a board-certified general practitioner who specializes in diagnostic and preventative medicine, completing his residency program at Westchester County Medical Center in 1986. After three years of research in liver diseases, he has published a number of articles on liver cirrhosis in The American Journal of Gastroenterology and the Journal of Hepatology. Dr. Abroon is affiliated with Mount Sinai and Lenox Hill hospitals and has strong working relationships with prestigious New York specialists at a number of area hospitals and medical facilities. 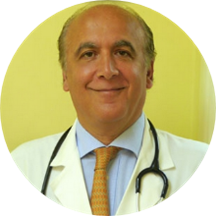 His extensive network of practitioners allows access to the latest medical information, and he is able to provide patients with excellent doctor recommendations that he trusts. Dr. Abroon has an interest in preventative medicine and wellness care, and he incorporates alternative therapies and good, old-fashioned home remedies into cutting-edge medical practices. He ensures that each patient receives one-on-one attention, with no physician assistants or nurse practitioners seeing patients in lieu of the doctor. Great doctor, will definitely continue seeing him! Great doctor. Great nurses. Makes you feel very comfortable!! I really enjoyed my visit. Clean office, kind staff, and a great Doc. Excellent staff and environment. Dr.Abroon is a true professional and has a progressive but practical approach. Great doctor! Super sweet and followed up with results the next day on my flu test! I will be back! He was nice and it did seem like he cared. He wasn’t as warm and personable, the front desk staff was exceptional though and very kind. Perhaps it was the end of the day, but one almost forgot to tell meto do a urine test. Regardless I need the service and do appreciate their time. Everyone in his office was SO NICE I felt like I was at some sort of magic spa. Dr. Abroon was lovely too just not quite as warm and cuddly as his assistants. Seemed to be rushing just a little but otherwise was very thorough. He listened carefully and asked thorough questions. He is easy to talk to. Found my new GP. He is thorough and kind. His office staff is friendly and attentive. Very happy to have him. The minute I walked in, I felt taken care of. The women at the front desk were absolutely lovely. The office was clean and the doctor was great. I would highly recommend. Dr. Abroon caters your care and his medical advice to the type of life style you lead. He is realistic about what patients can and can not do, which is exactly what I look for in a provider. He claimed to take my insurance when he, in fact, did not, and yet continues to tell ZocDoc that he does take my insurance. He's not trustworthy. Everything about this visit was fantastic. From the moment I walked in, the office was very professional. The front desk and medical assistants were great. Dr.Abroon made me feel comfortable, answered all of my questions, and helped me comeup with a plan for my circumstances. I made him my PCP immediately. Very professional... no funny business- came in, solved my problem and that was the end of it. The wait was ridiculous. Receptionist has no idea how to do her job. The dr was pleasant enough. Dr Abroon is professional, helpful, and interested not just in the issue I came in with, but my overall wellness and how to get more healthy moving forward. Recommend. Abroon is perfectly nice but I’m afraid he’s not as diligent as I would like. I saw him for nearly a year related to chronic back pain and shortness of breathe and for nearly a year he has dismissed the issues,running some test and never explaining the results to me. Because I’m worried about my health, I’ve decided to find another doctor. Dr. Abroon was great. Easy location, lovely office staff, and quickly seen / no frills approach to an annual physical check-up. He asked all the important questions, didn't insist on test or procedures that didn't seem necessary, and was very personable. The doctor was very friendly and thorough. Asked about any of my concerns, family history and answered any questions I had. I'll defiantly be going back. Competent and efficient. Gave me a correct diagnosis and good advice. I have sleep apnea and an ENT recommended a surgical procedure carving out some tissue my palette, reducing my uvula, and straightening my septum to provide clear breathing pathways at night. Dr. Abroon gave this all-in-one procedure a decisivethumbs down. He referred me to a top ENT with a safer, and much less radical approach. I met then new doctor, and he's great. Much thanks to Dr. Abroon for helping me avoid a potential nightmare. Finally, a doctor who got it right! I've been two specialists who were unable to pin point the cause for a condition that now turns out to be very minor, and easily resolved. I was recommended to this doctor by ahigh profile TV producer who's been a patient of his for years. I liked that Dr. Abroon asked a lot of questions and gave me all the time necessary before discovering the problem. -- This doctor is a good example of why not to mess with our health care system!